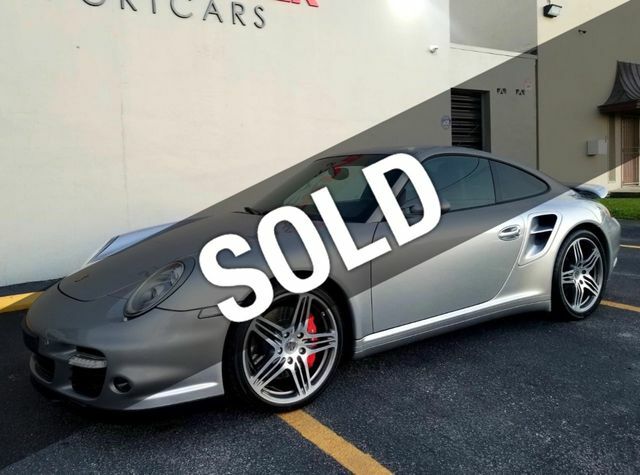 2007 Porsche 911 Turbo 2dr Coupe GT Silver Metallic Exterior On Cocoa Leather Interior. This is a 1- Owner Car with only 12K miles. Original MSRP of $138933. Loaded. The exterior and interior of the car are in very good conditions. All factory options work properly and the car runs and feels fantastic. TechArt Exhaust system. K40 Radar. Complete set of books and spare key are available. Accident/Damage Free CarFax Report. For more details Call us @ (305) 776-8111.